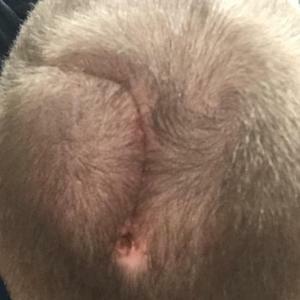 A man who first credited his thumping headache to an overzealous night out was diagnosed with a brain tumour just one week after what he thought was a terrible hangover. James Murphy (26) from Ballincollig in Cork woke up with a particularly bad headache after a night out with friends in May but when his symptoms continued for the remainder of the weekend he knew there was “something more sinister” going on with his body. “I went down to Cork for the weekend and went out with a few of my friends on the Friday night. “On Saturday I woke up and I felt really groggy and my head was banging. I put it down to a hangover and took a paracetemol. “On Sunday I woke up with a thumping headache and I was sweating, and I suppose I knew it was something more sinister then,” he said. James, who works on the Finance team at Twitter, travelled back to Dublin on Sunday evening, but was forced to seek immediate attention on Monday morning as he struggled to even get out of bed. “I woke up on Monday and I could hardly get out of bed. I took myself down to the doctor in Blackrock and luckily she knew something deeper was going on. “She said I was a young guy, who hadn’t had a knock on the head playing sport, who didn’t have any flu or cold-like symptoms. She sent me off to Dun Laoighaire Hospital where I had my bloods taken. The results showed up an infection and I was sent to St Vincent’s Hospital by ambulance for a CT scan,” he said. Although James admitted feeling a bit embarrassed to be transported by ambulance in what he thought wasn't an emergency, the 26-year-old became concerned when doctors advised him to ask his parents to come up to Dublin. 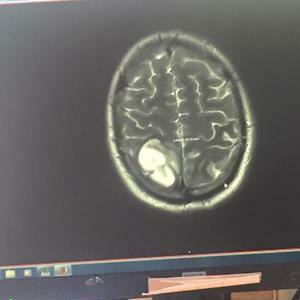 James underwent an MRI scan which showed a large growth in his brain, and his results were sent to Neurospecialists in Beaumont Hospital for further analysis. Specialists in the field informed James of his options, to remove the tumour in surgery or to monitor it in scans every three months. 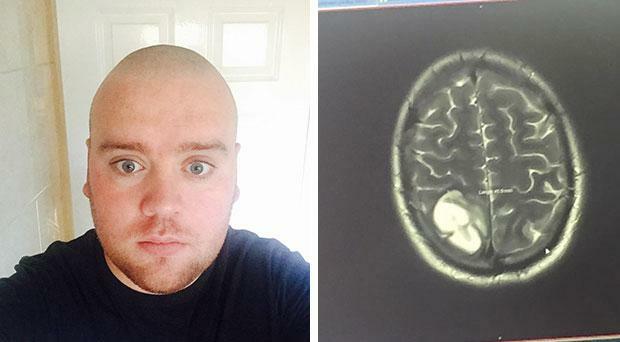 The Cork man decided to undergo surgery in August to remove the tumour and to determine if it was cancerous. “You don’t know whether a tumour is cancerous or not until you operate, and I’m really not the kind of guy to take risks like that,” he said. “I made the decision to have surgery in August 2016 and doctors managed to remove 95pc of the growth during that. Tumours are measured in grades, Grade One and Grade Two are benign tumours, while Grade Three and Grade Four are cancerous. My tumour was a Grade 3. After his surgery, James made the decision to relocate from Dublin to Cork University Hospital for treatment and moved back in with his parents. Since his surgery, he has undergone six weeks of radiation to target the remains of the cancerous tumour and is currently going through chemotherapy. “Besides a bad haircut I’ve luckily come through it unscathed. “It’s been difficult to leave my life behind for the moment. It’s a killer to go from working hard 9am to 6pm days in Twitter, which I love, to having nothing to focus on except hospital appointments. After focusing on work for so long, it’s hard to relax and get used to being off all the time. "I won’t really know how the treatment is working until my scans in April or May, but I hope to go back to my job in February,” he said. Working in social media, James said he was inspired to begin a blog about his illness to inform his family and friends about his progress. However, James said the Facebook page has grown into a “community”. “I started the blog as a way to keep my family and friends in Dublin up to date on my progress because if you left rumours go around, everyone would be saying you’re on your deathbed when you’re actually fine. Working in social media, I know its power and I thought it would be a good way to inform others and raise month for charities like Brain Tumour Ireland. “The reaction to the page has been incredible."